Easter baskets are a must-have in my households during Easter time. If you are looking to change up and re-invent the Easter basket this year and make it even tastier and more fun, check out the super fun and delicious Cookie Bouquets from Cookies by Design! 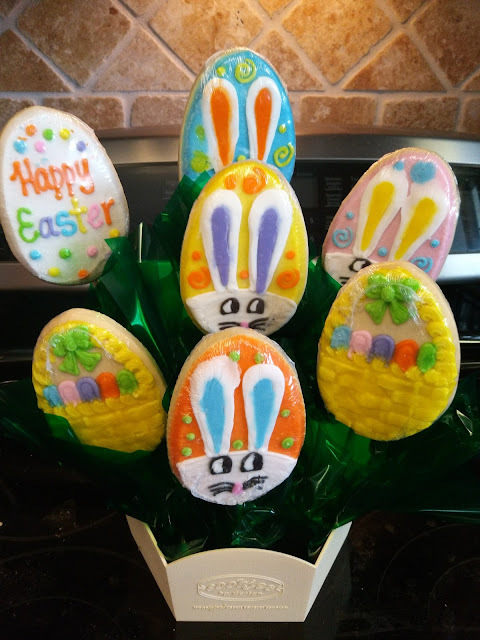 These colorful cookies are a fun way to celebrate the Easter season! Made of sugar cookie dough and iced with their signature icing, they offer "gifts that taste as good as they look! I received a cute Bunny themed Easter cookie BouTray. What's a BouTray™? Well – it's the best of both worlds! A BouTray™ combines their delicious hand-decorated iced cookies from our namesake "Bouquets" with premium assorted specialty gourmets on a "Tray"… and thus the name "BouTray™". These cookies are baked fresh daily and hand-decorated at each location. The cookies included in the BouTray were especially soft and delicious and they were gone before I even got to try some of them! 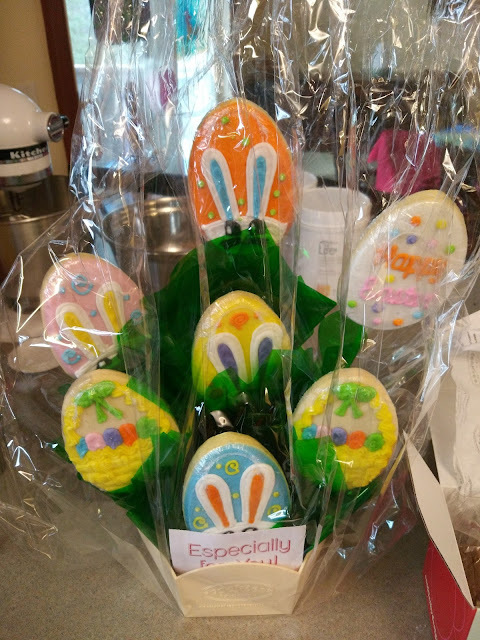 These Cookie Bouquets and BouTrays are definitely a fun, delicious and unique gift idea this Easter! 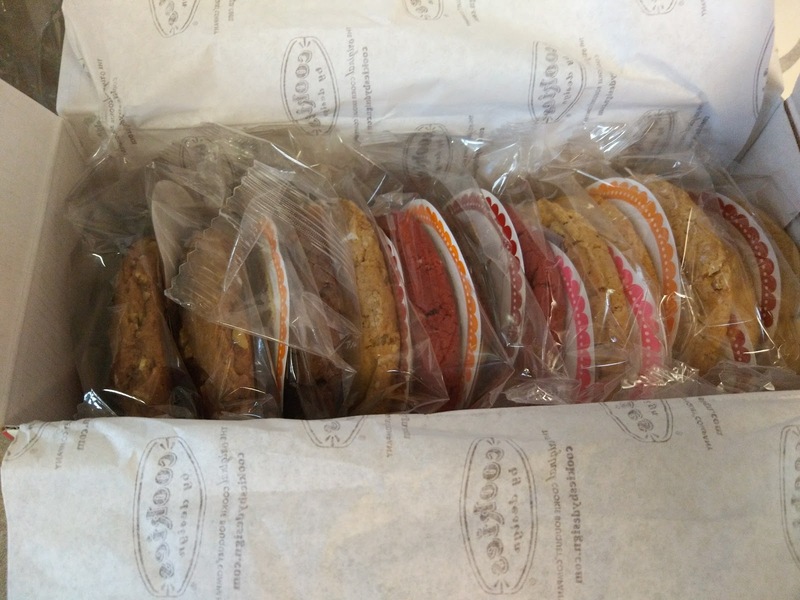 You can purchase all BouTrays and Cookie Bouquets from the Cookies by Design website.